I have said it before and I am going to say it again, one of the reasons I blog about Down syndrome is because I want to make this world a place that not only accepts individuals with Down syndrome but actually appreciates what these individuals have to offer society. Blogging is not the only thing I do but it is probably the most overt action other than the bumper stick on my car that proudly states, “My kid has more chromosomes than yours.” The sad thing is that I am beginning to think most people do not know what it means. Anyway, there are times when I feel like my actions and written words really don’t have a lot of impact. 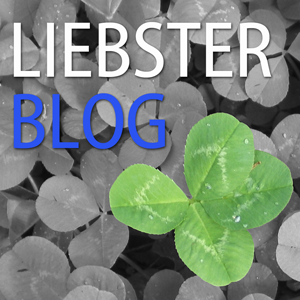 I am not famous, my blog has limited reach, and my ability to motivate falls far below that of such greats as Dr. Martin Luther King and Bono. Don’t get me wrong, I am very much an optimist and none of what I just said bothers me nor will I let it hinder me. However, I am hoping to encourage others that may feel defeated; I hope to help them see that they are doing something that makes a difference. As I was working on my M.B.A. in strategic management I spent a lot of time studying organizational behavior as well as leadership theory. In that realm there has been a recent paradigm shift from viewing organizations as rigid and unchanging to more dynamic/fluid entities. In my studies I came across a book that really impacted me and influenced my approach to business as well as most aspects of life. 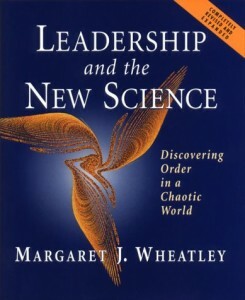 The book is called Leadership and the New Science: Discovering Order in a Chaotic World and was written by Margaret J. Wheatley. The basic premise of the book is that scientists are discovering that the world is a lot less mechanical (Newtonian) in nature and a lot more dynamic than they once understood. Newtonian thinking seeks to break things down into smaller parts with the basic assumption that the whole is equal to the sum of its parts. However, with the “new science” there is a more holistic approach with a lot of attention given to the relationships between the parts. Stephen Covey alludes to the new science in his book The 7 Habits of Highly Effective People. Covey talks about creating synergies through relationships. These synergies leverage the strengths of the individual parts to create something that is greater than just the sum of the parts. A simple example of this would be when two people join together on a task and each person is able to perform better at their portion of the task simply because the other person was either able to motivate them or maybe help them to see a different approach. So, you ask, what in the world does this have to do with Down syndrome? In her book Wheatley talks about “the butterfly effect” that was made famous by meteorologist Edward Lorenz. A simple explanation of the theory states that a butterfly flapping its wings in Tokyo can affect a tornado in Texas. Sounds crazy doesn’t it? I am not going to argue the validity of this theory in meteorology but if you think about it I but you could come of with some examples of the butterfly effect in your own life. It is the basis upon which things like corporate or family culture are built upon as well as other things. More specifically for this post and for Down syndrome, I want each person reading this to focus on one thing – USING PEOPLE-FIRST LANGUAGE. I have written about people-first language in an earlier post about Star Wars. If you are unfamiliar with the concept it is about seeing the person and not the disability. For example say, “kids with Down syndrome often have thyroid issues.” Do not use the phrase, “Down syndrome kids often have thyroid problems.” Say, “kids with Down syndrome can be a lot of fun.” Do not say, “Down syndrome kids can be a lot of fun.” Can you see the difference? The focus/emphasis needs to be on the person and not the diagnosis. Now, based on the butterfly effect, if we all begin to focus on using people-first language it will impact our own actions and possibly that of others. BUT, I am not saying you will be able to see the impact it has on others. That is not the point. The point is that it is the right thing to do and we can never truly know how something like this can have a ripple effect.